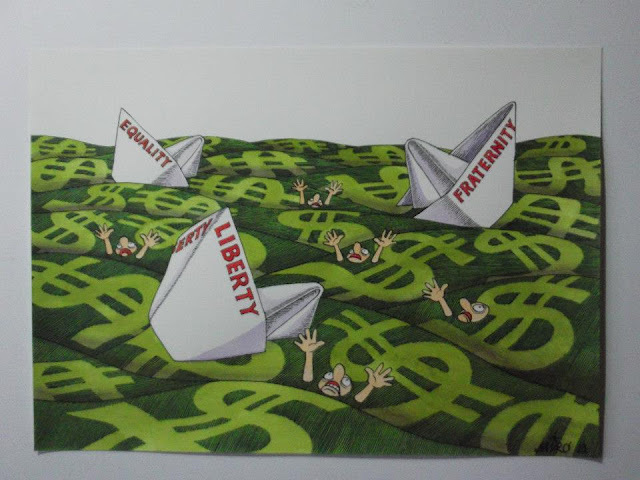 Miro Stefanovic, from Serbia, was the winner of Grand Prize of the 15th PortoCartoon-World Festival, organized by the Portuguese Printing Press Museum, under the theme "Liberty, Equality and Fraternity". The winning work is entitled "Shipwreck" (See top). The second prize – “Atrapados” (Trapped) was awarded to Boligan, an artist from Cuba living in México, and the third – Libertea” - to Wilem Rasing, from Holland. Lucv Descheemaeker - Belgium, "Dilemma"
Alex Bartfeld - Israel, "Libre"
Pawel Stanczyk - Poland, "Liberty Equality Fraternity"
Julian Pena-pai, Romania, "Opening Ceremony"
This year's edition included two special awards in tribute to the filmmaker Manoel de Oliveira (which this year will be 105 years old) and to the Nobel Prize José Saramago. The winners were respectively Mauricio Parra, from Colombia, and Ivan Prado, an author born in Peru and living in Germany. In appreciation were 1700 works from more than 500 artists coming from all continents. 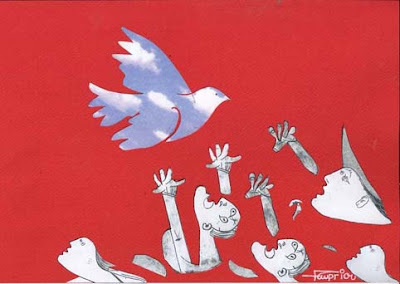 Iran is the country with more participation: 121 works from 41 cartoonists, followed by Romania, Serbia, Turkey, Portugal and Belgium. The international jury of 15th PortoCartoon was chaired by by Peter Nieuwendijk, President-General of Feco (Netherlands) and integrated Xaquin Marín, founder of the Museum of Humor Fene (Spain), Francisco Laranjo, director of the Faculty of Fine Arts of University of Porto and Luis Humberto Marcos, director of PortoCartoon and the Portuguese Printing Press Museum. Winning cartoons on source: cartoonvirtualmuseum.org. 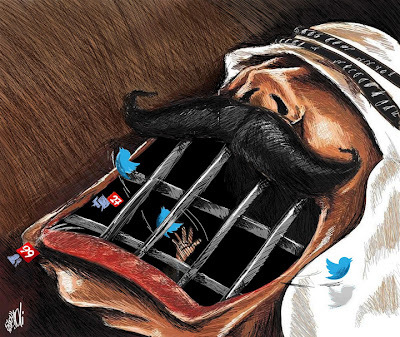 To mark World Press Freedom Day on May 3, Doha Centre for Media Freedom organised a cartoon competition depicting the theme “Media Freedom” to honour the bravery and creativity of courageous cartoonists around the world. 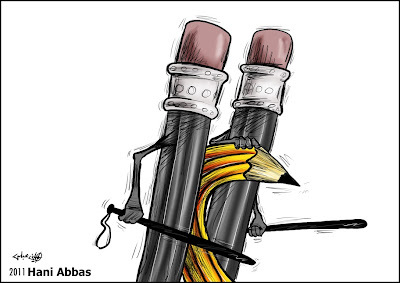 DCMF received more than 200 entries from 47 countries for its inaugural DCMF World Press Freedom Cartoon Contest. Abdel Naser Z.M. Al-Jafari - 3rd prize winner- Cash prize of $800. Robert Russell, Executive Director of the Cartoonists Rights Network International. DCMF will host all the winners of the contest during the World Press Freedom Celebrations on May 1 in Doha. Apart from the the top three winners, the jury has nominated 25 cartoons that will be showcased in a cartoon exhibition on May 1. 321 artist from 67 countries participated in the contest. Special Prize: Li Kui Jun, China. The jury examined 505 works by 202 artists from 37 countries. ARTICLE 1: Burdur Governorship, Provincial Directorate of Culture and Tourism will organize the 28th National and 2nd International Cartoon Competition in the framework of the Week of Museums to be celebrated on 18 May, 2013. ARTICLE 2: The smuggling of historical artifacts, the efforts to bring the smuggled cultural artifacts back to our country, historical and natural sites, monumental works and consciousness of historical environment have continuously taken place on the agenda of our country in parallel to scientific researches and archeological excavations. Our objectives in this competition are, besides encouraging our artists, also receiving their opinions and criticism on these issues, disseminating the love of historical artifacts to a wider section of population, contributing to the development of tourism in the city and ensuring that the messages on these issues will remain on the agenda of our country. ARTICLE 3: The theme of the competition is “Historical Artifacts-Museum and Human Relations”. ARTICLE 4: Everybody can participate in the competition, except jury members and their first and second degree relatives. ARTICLE 5: Artists can send a maximum of 5 works to the competition. ARTICLE 6: The works to be submitted to the competition must be original and not published before. The submission must be made with originals and not copies such as photocopy etc. The intellectual content of the works are the responsibility of artists. ARTICLE 7: The works that highlight Burdur and its antique cities and artifacts will be given priority during the evaluation of the works. ARTICLE 8: The name, surname, address and phone number of the participants must be written on the right hand side at the back of the works. Participants will also submit their brief resume enclosed in the post. ARTICLE 9: The format of the works will be 35 x 25 cm and the works smaller or bigger than that format will be disqualified. ARTICLE 10: The works which qualify in the preliminary evaluation (means that they are found worth to be exhibited) will be exhibited in the Burdur Museum or other relevant places. ARTICLE 11: The cartoons to be submitted to the competition will be the property of the Burdur Governorship Provincial Directorate of Culture and Tourism. All the copyrights of the works will be considered to have been transferred to the Provincial Directorate of Culture and Tourism. In case the works are published, the artists will not ask for copyright on the possible publications of their cartoons, but the copies of the publications will be sent to them free of charge. ARTICLE 12: The deadline for participation in the competition is Monday, 06 May 2013. The evaluation will be made on 08 May 2013. The award ceremony will be take place on 20 May 2012 in the framework of the Week of Museums. The owners of the awarded works will receive their awards during their participation in the award ceremony. Their transportation to/from Burdur and the session fees will be covered by the organizers. The works for the 28th International Cartoon Competition can be submitted by post or in person to the following address: Burdur Müze Müdürlüğü, 28. Uluslararası Karikatür Yarışması, Özgür Mh. Halk Pazarı Cd. No: 3 BURDUR. Special Prizes on selected cartoons. ARTICLE 14: The artists that take part in the competition are considered to have accepted the provisions of the regulation. All participants can sent their work by mail. H. Ali EKİNCİ (Director of the Museum ). From 55 countries 343 artists sent in their works by internet; 1095 drawings selected. Jury: Liviu STANILA, Julian PENA – Pai. Horia CRISAN. Greek artist Michael Kountouris, with the editoril cartoon titled «EU Rescue Team» is the winner of the World Press Cartoon 2013 Grand Prix. 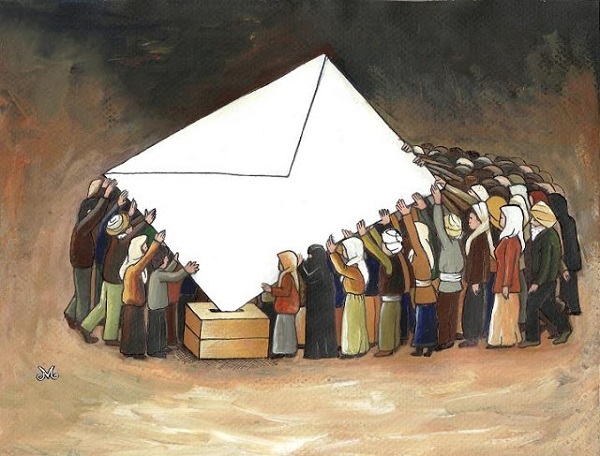 The cartoon was published in «Efimerida Ton Syntanton» newspaper, from Athens. 3rd Prize: «Messi» by Carbajo, Spain, published in «El Jueves» magazine from Barcelona. «Dictator Hassad», by Agim Sulaj, Albania, published in «Romagna Corriere», from Rimini, Italy. 3rd Prize: «Free Warrior», by Raul Zuleta, Colombia, published in «El Mundo de Karry», from Lima, Peru. «Untitled», by Zhang Wei, China. 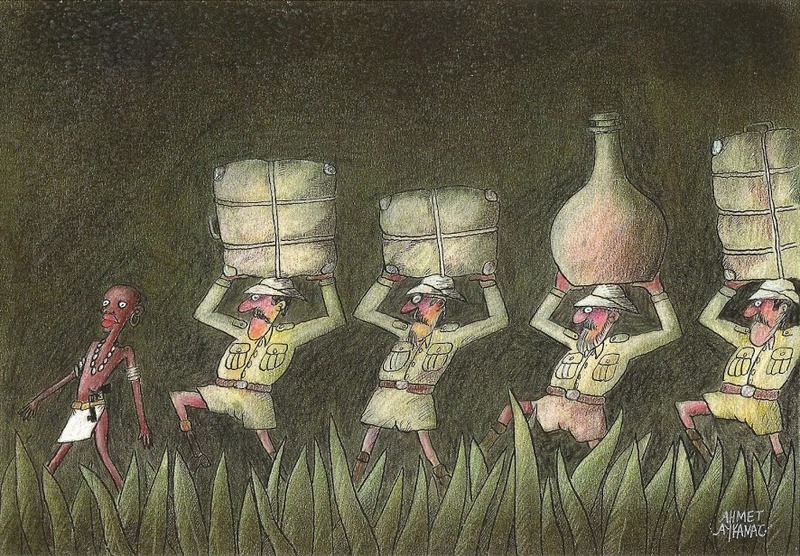 The jury decided to distinguish with a Special Mention the high quality work «Untitled» by late Ukranian artist Yuri Kosobukin, published in «Perets», from Kiev, as a posthumous homage to a great cartoonist. 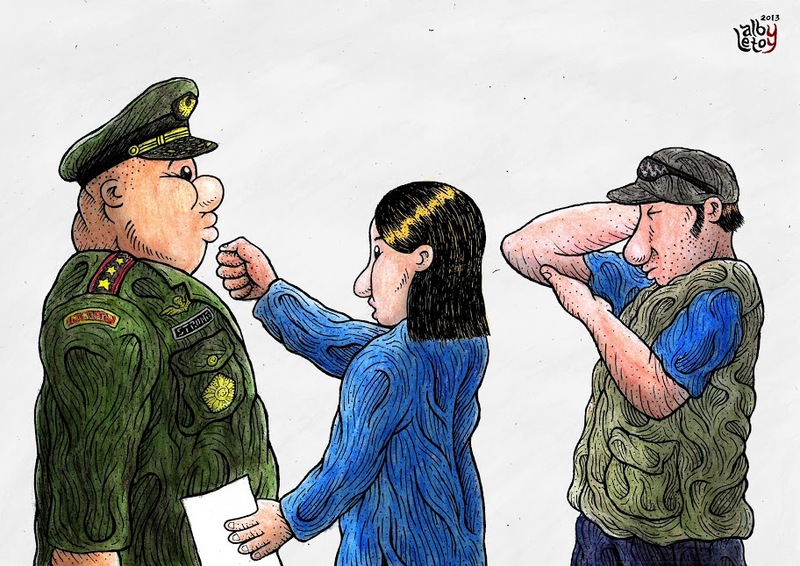 3rd Prize: «USA greatest enemy», by Gregório de Holanda, Brazil, published in the «Diário de Pernambuco» newspaper, from Recife. «Obama has disappointed...» by Randi Matland, Norway, published in «VG» newspaper, Oslo. All winning cartoons on http://www.limes-net.com/contest/. 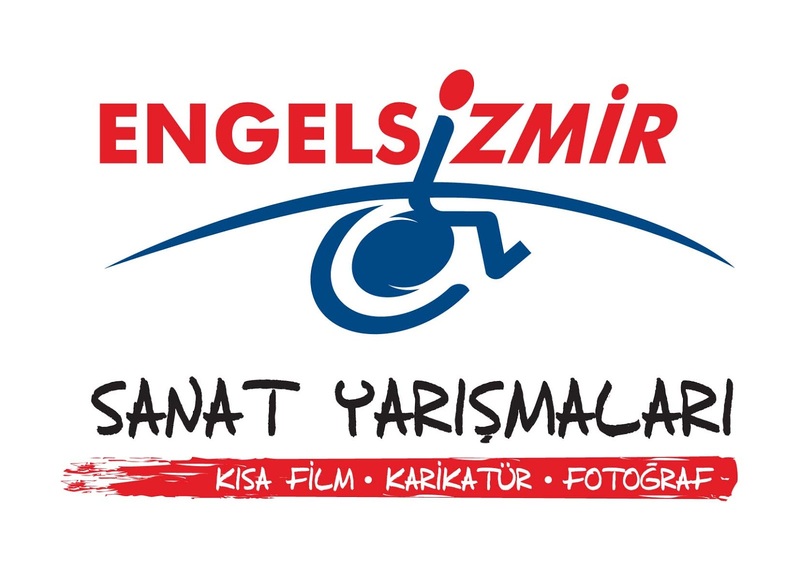 International Cartoon Contest Engelsizmir 2013 with theme: "Remove the Obstacles"
Aiming to become a pioneer of life without obstacles, Izmir Metropolitan Municipality is preparing an international congress to find solutions to the problems of the disabled. 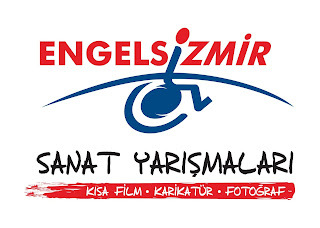 “International Congress of the Problems and Solutions of the Disabled” will be organised between October 30 and November 3, 2013, under the leadership of Izmir Metropolitan Municipality. In addition to being a scientific congress, ENGELSIZMIR 2013 is also a fair containing a series of artistic, cultural and social events. For this purpose, a cartoon contest themed “REMOVE THE OBSTACLES” has been organised. Ten percent of the world’s population is disabled, meaning they are not able to hear, see and/or walk. They come across many difficulties in social life. When compared to the disabled in developed countries, the disabled living in Turkey are in need of great care. Most of them cannot read and they are leading their lives without any medical care. The discrimination against them and being treated as invisible lead them to live a life as invisible people. Izmir Metropolitan Municipality, who has established the first “Education and Cultural Complex for the Disabled” in Turkey, now wants to show the difficulties that the disabled experience with an international cartoon contest which is organised with the Güzelyalı Rotary Club. Now, we are inviting you to think about them. We believe that the cartoonists can enlighten the “invisible” obstacles and raise awareness regarding this matter. The theme of the cartoon contest is “Remove the Obstacles”. Artists from all over the world may participate in the contest. There are no restrictions regarding this issue. Each contestant can enter the contest with 5 cartoons at most. The cartoons can be previously published ones. However, they cannot be ones that have been awarded before. If they are so, they will be disqualified from the contest and the given awards can be taken back from the contestant. The drawing technique is not restricted and cartoons can be either coloured or black and white. The size of the cartoons should be 29.7 x 42cm at most on an A3 sheet. Cartoons sent in such a way are preferred. If cartoons are to be sent digitally, cartoonists need to sign their cartoons before. Photographs and/or photocopies of the cartoons will not be accepted. Cartoons should be 29.7 x 42cm at most on an A3 sheet. Contestants can also enter the contest online. Cartoons can be sent using the “Cartoon Contest” menu on www.engelsizkongre.org. Cartoons should be sent in 300 Dpi, JPB or RGB formats without being zipped using programs such as Zip and Rar. The contestant will be asked to send the original copy of the cartoon via mail if it wins an award. Contestants under the age of 18 should also add a document regarding their parents’ approval of them participating the contest. Cartoons entered in the contest will not be sent back to their owners but will be used in media such as brochures and exhibitions to be prepared by Izmir Metropolitan Municipality and/or Güzelyalı Rotary Club under copyright. Participants are deemed to have accepted this term. Cartoonists who do not reside in Izmir and are awarded with a prize will have to pay their own travel and accommodation expenses. For that reason, if an award-winning cartoonist cannot participate in the award ceremony, s/he will receive her/his award via mail. Likewise, award-winning cartoonists residing in foreign countries will be able to receive their awards via banks, Western Union etc. The cartoons that are thought to be worthy of display by the jury will be displayed in an exhibition and will be included in an album. The owners of the cartoons will be sent a copy of the album. On the condition that a cartoon does not meet the necessary requirements, it will be disqualified. No.109 Kat:2 Daire:202 Pasaport 35210 – İzmir / Türkiye. Latif Demirci ( Head of Committee ), Gören Bulut, Ertan Ayhan Sertöz, Raif Gökkuş, Engin Boğaz, Ömer Çam, Mustafa Yıldız, Cem Güzeloğlu, Hikmet Savatlı. to participate in the contest and that the personal information I provide is fully correct. (The terms of participation can also be downloaded from www.engelsizkongre.org). the best cartoon with theme ‘Right to a home and some food’. More information about this theme is to be found in the application form. colour. They shouldn’t contain an explanation of the drawing. • Photocopies will not be accepted. wrapped before sending in order to prevent damage. • Following data should be mentioned on the back of your work: name, adress, age and theme. be used by the organizers to promote the contest and the village of Olen. free copy of the catalogue during the prize ceremony or it will be send afterwards by mail. responsible for loss or damages. Special prize: “poverty and human rights”: 350 euro. room of the town hall of Olen, Dorp 1, 2250 Olen. Every participating artist will be welcome on that occasion. Only the winners are peronally invited. o Friday 09.00 u – 12.00 u. Regulation in languages & Entry-Form: www.olen.be.